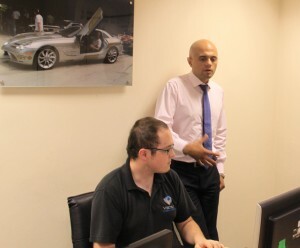 MP Sajid Javid visits Bromsgrove based car tuning Company Viezu Last week Viezu were honoured to be visited by Sajid Javid to take a look at our ward winning fuel economy tuning services, Sajid is a British Conservative Party politician who has been the Member of Parliament (MP) for Bromsgrove since 2010 and the Secretary of State for Culture, Media and Sport and Minister for Equalities since 2014. Some commentators have stated that Javid has a chance of becoming Leader of the Conservative Party in the coming years. 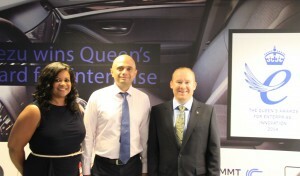 Sajid was keen to visit Viezu after our recent Queens Award for enterprise award gained considerable recognition both in the local and international press. Viezu has really been hitting the headlines recently as our car tuning and van tuning fuel economy services are being take up by more and more large international fleet and vehicle operator.